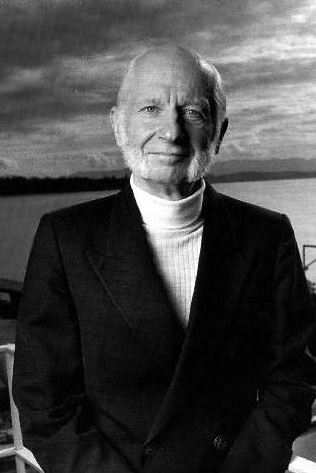 Dr. Hans Dehmelt, age 94, succumbed quietly, at home, in his sleep, March 7, 2017 after a valiant battle with a long illness. It was the end of a creative and interesting life that started in Nazi Germany building radios as a 10 year old and included a stint as a private in the German army and narrowly escaping death at the encirclement of Stalingrad. He was captured at the Battle of the Bulge and spent a year at an American prisoner of war camp in France. After the war, he was allowed to put his considerable talents to use when he attended the University of Gottingen, eventually completing his doctor’s degree in physics. He then migrated to the US, with post-doctoral work at Duke University and the University of British Columbia before finally settling at the University of Washington in the 1950’s. Through dogged persistence and the help of very able collaborators Hans worked in subatomic physics and achieved numerous awards and recognitions, including a portion of the 1989 Nobel Prize in physics, and the National Medal of Science. Outside of science, Hans had interests in Hatha yoga, classical music, ballet, waltzing, walking in the outdoors, and a dietary rather than medical approach to health. His wife, Dr. Diana Dundore, survives him. His grandson, Leif (Peri), and a great granddaughter, Jolie, live in Germany. His first wife Irmgard Lassow, his son Gerd, his sister Brigitte, and brother Bernard all preceded him in death.